This set is built on a deep rock base with layers of dark moss and grasses. 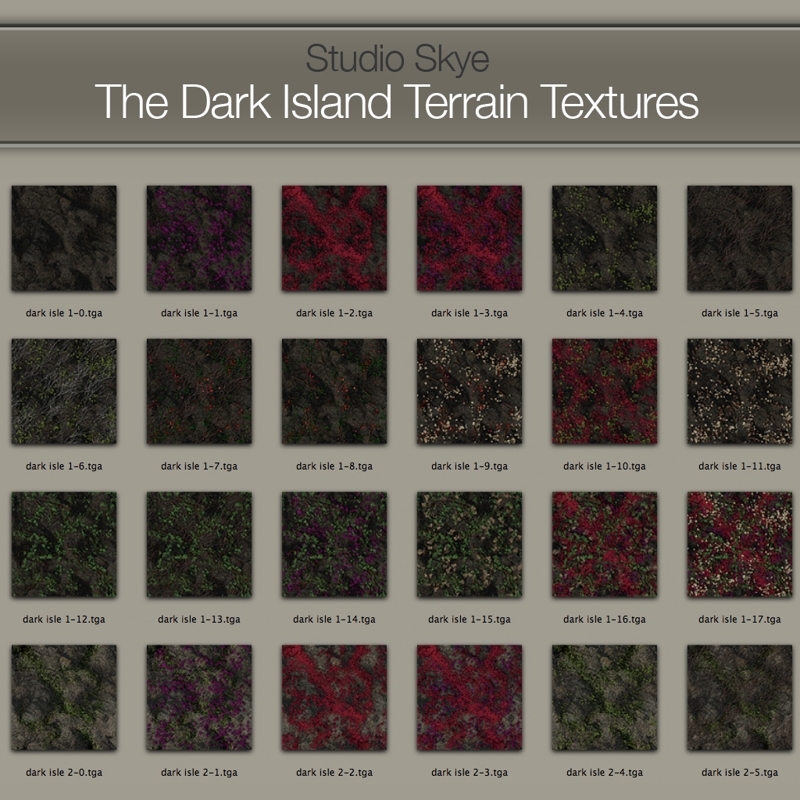 These bases are overlaid with a wide choice of twisted root, deep purple are red mosses and flowers, loose stone and fragile fallen leaf. 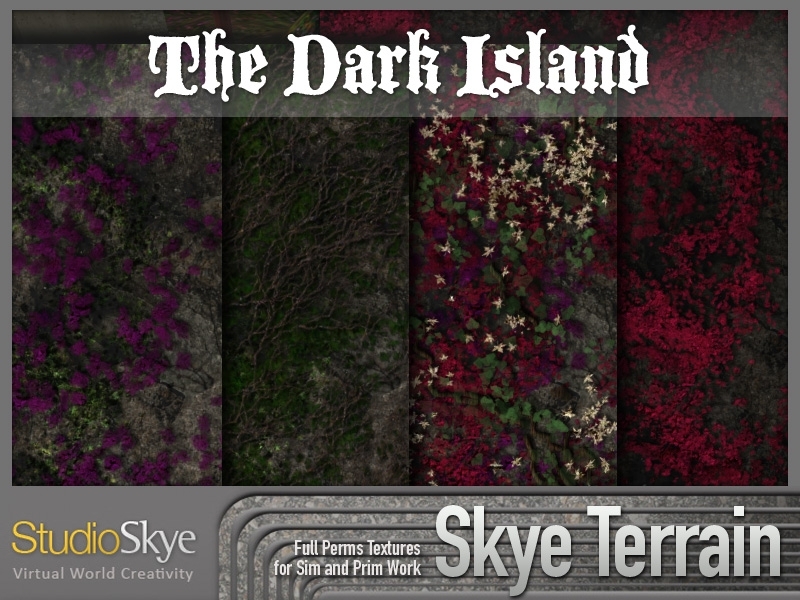 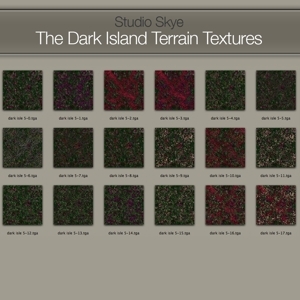 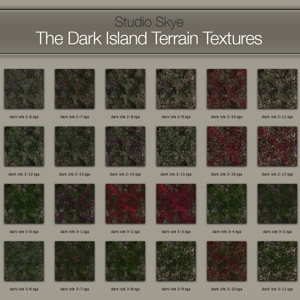 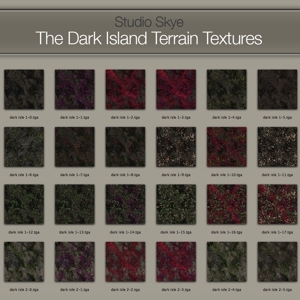 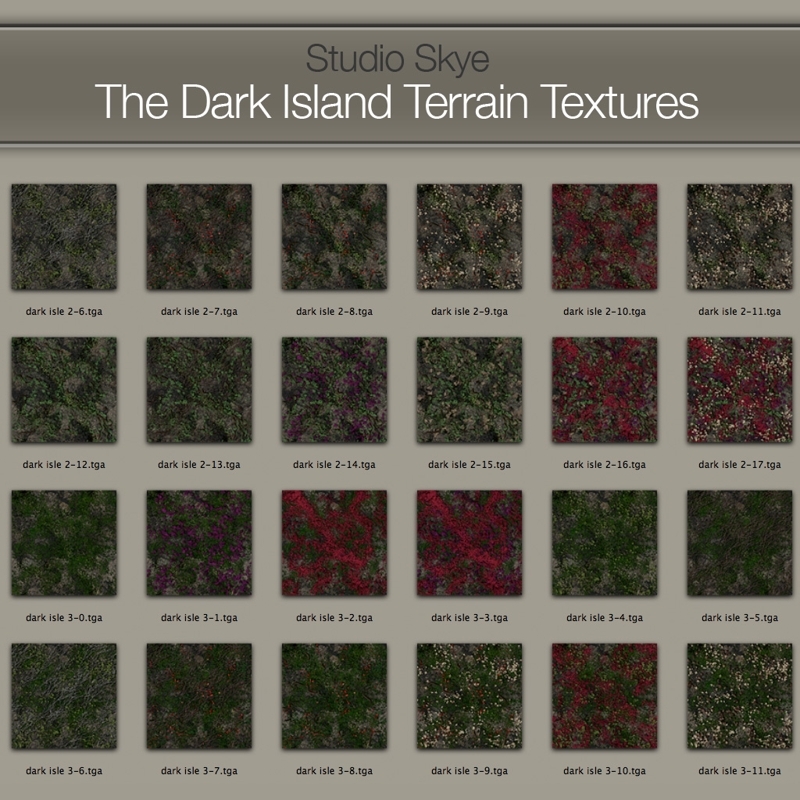 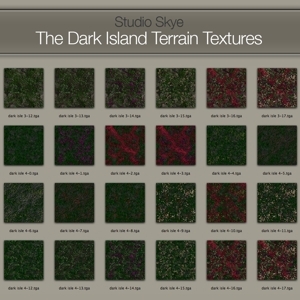 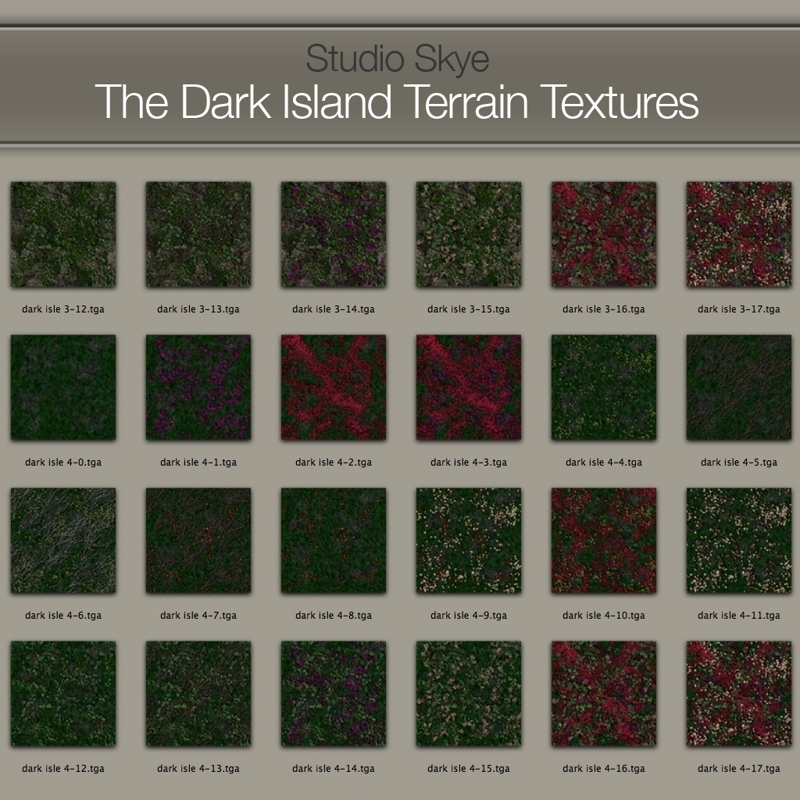 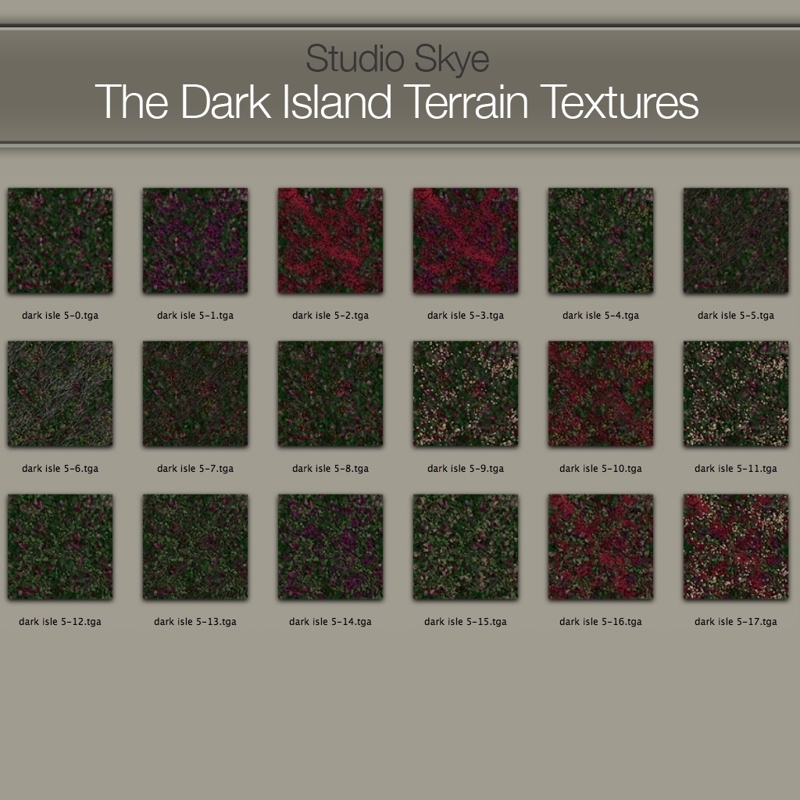 This terrain texture set would suit a deep gothic style terrain or mysterious hidden island.